We have been tackling airport rates and charges issues for more than 30 years, often under difficult or contentious circumstances. 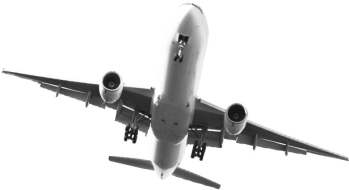 We have a reputation for drafting and negotiating creative and innovative solutions for our airport clients that the airlines and federal regulators respect. And when agreements cannot be reached, we are one of the most experienced firms in the country defending rates and charges imposed by tariff or ordinance. We drafted and negotiated a new airline lease for Salt Lake City International Airport that lays the groundwork for the development of $1.8 billion new terminal facilities. We helped draft a new rate resolution for the Greater Orlando Airport Authority and proposed an innovative form of rate and revenue-sharing agreement to avoid a potential “rocket docket” challenge to the Authority’s rates-by-resolution. We helped Los Angeles World Airports develop a new form of equalized, compensatory terminal rates at Los Angeles International Airport that resolved years of intense litigation. This was an exceptionally challenging project because many airlines without leases had complaints pending before the DOT in “LAX III,” a “rocket docket” proceeding – while many other airlines held long-term leases. Working closely with senior management and financial consultants, we played a key role in defining LAWA’s options, documenting its decisions in a “plain English” rate tariff and developing a rate agreement which led to the dismissal of all of the remaining complaints in LAX III. We helped San Francisco International Airport successfully negotiate its new airline lease and use agreement. Negotiating this agreement required exacting analysis of issues arising out of the City’s status as a “grandfathered” airport sponsor that is able to make “annual service payments” from the airport to the City’s General Fund. We have successfully represented ACI-NA in many rates and charges appeals, including: LAX-III (D.C. Circuit, involving an “unjust discrimination” challenge to terminal rates set by ordinance); Tinicum (Third Circuit, involving the power of a non-sponsoring unit of government to impose a landing fee); and the airlines’ challenge to DOT’s 2008 amendments to its Rates and Charges Policy (D.C. Circuit).